Abstract: Image Recognition Primer: Alexnet to Fast R-CNN and Mask R-CNN Applications aims to bring together researchers in the fields of Deep Learning and Image Recognition. The workshop will address recent advances in theory, methodologies and various related applications. It is meant to promote the advancement, discussion and presentation of new research and development in the areas of Deep Learning, Image Recognition and applications. Of special interest are how image recognition has evolved from Alexnet to Advanced Convolution Image recognition. 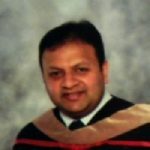 Bio: Bhairav Mehta is Senior Data Scientist with extensive professional experience and academic background. Bhairav works for Apple Inc. as Sr. Data Scientist.